Colorado Criminal Law – Understanding The Motion For A New Trial If You Are Found Guilty – Rule 33 - Denver Criminal Attorney Specializing in Domestic Violence Cases - Colorado Criminal Defense Lawyer. Colorado Criminal Law – Understanding The Motion For A New Trial If You Are Found Guilty – Rule 33 -If you find yourself in that difficult moment when the Judge or the Jury pronounces you guilty – a million emotions flood your mind. What do I do now? Is there an immediate remedy to “do over” this trial? What is next? One of the most potent rules to discuss with your Colorado criminal defense lawyer is the Motion For A New Trial Under Colorado Rule of Criminal Procedure Rule 33. What is most important to understand in the context of this rule is that a Motion for a New Trial is rarely granted. It is said that the accused in a criminal case is entitled to a fair – not a perfect trial. The Criminal Justice System is all about finality. A New Trial is usually granted only in exceptional cases. Since the Trial Judge’s decision to deny a Motion for a New Trial – this practically means that – while appealable – the Judge’s decision is nearly impossible to reverse on appeal. Practically – you will have one shot! (a) Motions for New Trial or Other Relief Optional. The party claiming error in the trial of any case may move the trial court for a new trial or other relief. The party, however, need not raise all the issues it intends to raise on appeal in such motion to preserve them for appellate review. If such a motion is filed, the trial court may dispense with oral argument on the motion after it is filed. (b) Motions for New Trial or Other Relief Directed by the Court. The court may direct a party to file a motion for a new trial or other relief on any issue. The failure of the party to file such a motion when so ordered shall preclude appellate review of the issues ordered to be raised in the motion. The party, however, need not raise all the issues it intends to raise on appeal in such motion to preserve them for appellate review. The court may grant a defendant a new trial if required in the interests of justice. The motion for a new trial shall be in writing and shall point out with particularity the defects and errors complained of. A motion based upon newly discovered evidence or jury misconduct shall be supported by affidavits. A motion for a new trial based upon newly discovered evidence shall be filed as soon after entry of judgment as the facts supporting it become known to the defendant, but if a review is pending the court may grant the motion only on remand of the case. A motion for a new trial other than on the ground of newly discovered evidence shall be filed within 14 days after verdict or finding of guilt or within such additional time as the court may fix during the 14-day period. The order of the trial court granting the motion is a final order reviewable on appeal. All Colorado Rules Of Criminal Procedure are interpreted by cases that travel up through the Colorado Court’s of Appeal. Some of the most important of those “case rules” are summarized in the remainder of this article. A motion for anew trial under Colorado Rule 33 does NOT bar double jeopardy protection against retrial. Because a Defendant files a motion for a new trial does not mean he or she loses the right to invoke the double jeopardy guarantee against a retrial of the charges. One of the requirements of appealing under the right of Habeas Corpus- is a doctrine called the exhaustion of all other remedies. If a Defendant appeals a state ruling or verdict – the Federal Court system requires that the Defendant try first for a new trial under Rule 33. The idea behind a Colorado Motion for a New Trial is it permits the trial judge a new opportunity to consider and to correct any erroneous rulings. It reminds the judge of the specific objections to those rulings during the trial and is an opportunity to the court’s own errors. . The Defendant has 14 DAYS to file a motion for a new trial. If a Motion for a New Trial is not timely filed – the Trial Judge can provide additional time to file the deadline for the motion. So a late filing of the Motion for a New trial is not an absolute cut off of the right to file said motion. Was there misconduct by the opposing lawyer during the trial? Was there evidence hidden by the prosecution prior to trial that prevented a fair trial from taking place? 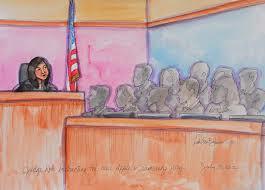 Was there evidence of jury bias? Was there evidence of jury misconduct? Were the jury instructions of law fair and proper? Was there sufficient evidence to support a conviction beyond a reasonable doubt? The mistakes pointed out by the defense lawyer in the Motion must be identified with particularity. For example – if objections were made by defense counsel during the trial and adverse rulings resulted – the Motion should be specific as to those objectionable rulings. Motions for a new trial based on newly discovered evidence are not regarded with favor. They are perceived as contrary to the policy of encouraging the parties to be as thorough as possible in investigating all of the available evidence before the first day of trial. Important guidelines have emerged as governing a Motion for a New Trial in Colorado. The discovery of new evidence and the nature of that evidence is subject to strict rules. (4) that the newly discovered evidence is of such a character as probably to bring about an acquittal verdict if presented at another trial. A Defendant may assert that a juror’s misconduct has denied him his constitutional right to a fair jury trial. The rule is this: Where jury misconduct materially affects the substantial rights of a party preventing a fair and impartial trial that conduct may serve as grounds for a new trial. In this context – a Defendant must establish that he was prejudiced by the misconduct before a Court will overturn his conviction. The “prejudicial impact of the misconduct” is a question of fact that is examined in light of all the circumstances of the trial and a finding of prejudice is given to the sound discretion of the trial court under the abuse of discretion standard. So a juror who falls asleep during a defense lawyer’s closing argument (never happens to me!) is a clear example of juror misconduct that requires a new trial. Another example – communications to the jury from an outside source that deal with the punishment or sentencing of a defendant are presumptively prejudicial. All allegations of juror misconduct must be supported by affidavit and cannot be hearsay. If you are charged with A Colorado crime or you have questions about the topic of this article – Colorado Criminal Law – Understanding The Motion For A New Trial If You Are Found Guilty – Rule 33, please call our office. The Law Offices of H. Michael Steinberg, in Denver, Colorado, provide criminal defense clients with effective, efficient, intelligent and strong legal advocacy. We can educate you and help you navigate the stressful and complex legal process related to your criminal defense issue. and all the other cities and counties of Colorado along the I-25 Corridor… on cases involving the subject of this article – Colorado Criminal Law – Understanding The Motion For A New Trial If You Are Found Guilty – Rule 33. One of the most potent rules to discuss with your Colorado criminal defense lawyer is the Motion For A New Trial Under Colorado Rule of Criminal Procedure Rule 33. What is most important to understand in the context of this rule is that a Motion for a New Trial is rarely granted. It is said that the accused in a criminal case is entitled to a fair - not a perfect trial. The Criminal Justice System is all about finality. A New Trial is usually granted only in exceptional cases.